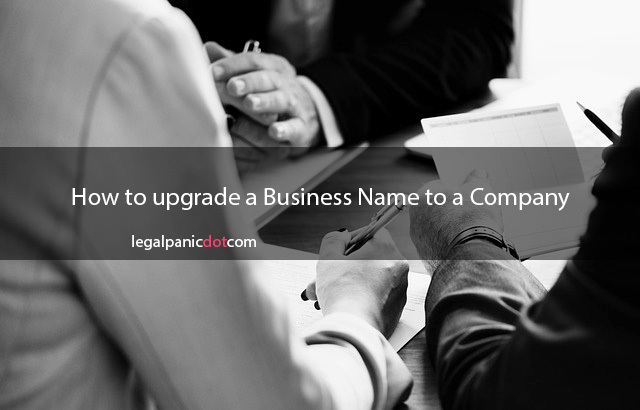 How to upgrade a business name to a company (limited liability company) is not as difficult as it sounds. You might, however, need a guide from a legal/corporate expert. This writeup is simply to get you abreast with the simple steps to enable you to know how to upgrade a business name to a company (limited liability company) in Nigeria. A couple of friends (business owners) inundated me with requests to “change” their business names i.e. sole proprietorship and partnership to a company, immediately I knew they were asking about how to upgrade their business names to a limited liability company i.e. a business that can sue and be sued by itself; has directors, shareholders, shareholding, etc. However, business owners have different reasons for upgrading their businesses such as the plan to venture into a new business venture; the need for angel investors; for a change of ownership; or corporate restructuring; etc. indeed the list is not exhaustive. Therefore, I decided to avail you with the requisite information to upgrade your sole proprietorship or partnership to a limited liability company without any stress, maybe just a few, but you would know how to address it, even by yourself. Kindly recall that one of the core obligations of your registered business name (which you seek to upgrade to a company) is the filing of annual returns with the Corporate Affairs Commission at 30 June of every year, after the year of registration. Now, according to Section 587 of the Corporate and Allied Matters Act, Annual Returns is a form showing the particulars of the firm, company or individuals, the nature of the business carried on, and the state of the financial affairs of the business carried on by the firm, company or individual in the business name during the preceding period of January 1 to December 31. This is a mandatory obligation of every registered business name in Nigeria, failure to so do normally attracts a penalty. I took you through the above in order to whet your appetite and familiarise you with the following steps to upgrade your business name to a limited liability company in the simplest form. Write an application to the Registrar – General of the Corporate Affairs Commission to upgrade your business name to a Limited Liability Company. Annex evidence of payment of annual returns for your business name till date. Annexe evidence of payment of N5,000.00 for the upgrade to your application letter. Federal Inland Revenue Service will assess your new company share capital at the rate of 0.75% excluding service charges. Your application may take a maximum of 2 weeks to upgrade your business name to a limited liability company. On aggregate, depending on the share capital, the entire process may cost around $51 – $82, while the professional fee varies from various corporate practitioners. From the above, you would see that it is important that you file annual returns for your business names regularly i.e. every 30th June. While I believe ambitious business owners will ask to know about the corporate “dos and don’ts”, I will suggest that corporate practitioners and licenced agents of corporate affairs commission to always endeavour to properly advice their clients on the need to promptly file their annual returns – which is a core prerequisite to a successful upgrade – with the corporate affairs commission to avoid payment of default fees. It is frustrating to see business names that were registered several years ago being penalised in several thousands of Naira due to non – compliance with the regulatory authorities. Finally, for the sake of dealing with technicalities and rigours of the process, you may seek professional corporate assistance from an expert. I wish you all the best as you take your business to the next level. Oluwadamilare AJAO – For further inquiries, connect with Oluwadamilare AJAO (Corporate Law Expert, Partner at Brief & Case Legal Practitioners) on briefandcaselp@gmail.com or call +234(0)8109227177.